Individuals will gain hands-on experience in promotions, branding, corporate partnership, sponsorship, community relations, non-profit development, promotion and preparation of events, and data entry and analysis. 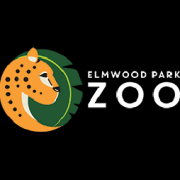 Interns will interact directly with zoo customers to create awareness of zoo programs. They will also assist in the development, implementation, and evaluation of promotional strategies. Interns receive exposure to all of the department’s functions and responsibilities. Writing Prompt: No more than 500 words creative letter from perspective of an animal with facts. Find this on the application at Zoovolunteer.com !